Times are changing for the banking paradise that served as a safe haven for private clients throughout its history. While international and domestic firms compete for recognition, an upcoming important tax reform and a dynamic M&A market are changing the landscape. Known for its prosperous and modern market economy with a low rate of unemployment and a per capita GDP among the highest in the world, one would be surprised to learn that change is in the air for Switzerland’s financial paradise. Recognition of its banks and international clientele has made Switzerland an attractive location for international law firms seeking to counsel international corporations. With major legal hubs in Zurich and Geneva, firms have split between these two cities, as each city is specialized in different sectors. Zurich is home to the principal stock exchange and the leading banks as well as capital market lawyers. 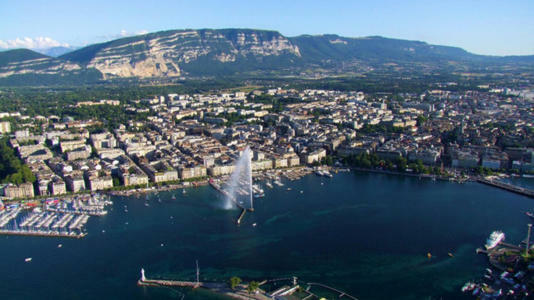 While Geneva, the country’s second-largest city, is known for international organizations and the large presence of international arbitration lawyers. Combined with a desire to establish and grow in Switzerland, international law firms continue to compete against well-established domestic firms like Lenz & Staehelin, Homburger and Bär & Karrer. Added to this, as international pressure builds to disclose information about the accounts of private clients, changes related to tax transparency will affect the inflow of assets, in turn affecting lawyers and the longstanding relationships they have with Swiss banks. For a country like Switzerland, which is known to be one of the most developed banking centers around the world, the end of banking secrecy will be a step into the unknown. In 2013 the Swiss parliament approved a law known as FATCA, which requires Swiss banks to cooperate with the United States tax authorities, while this year the EU signed a deal with Switzerland signifying that from the year 2018 no EU resident will be allowed to hide undeclared income. As a result, this transparency has increased the workflow of litigation and tax lawyers, with increased advice to law firms coming from auditors and forensic accountants. Already, banks have experienced challenges with a rising rate of outflow activity on assets and low return on equity. Some Swiss bank account holders are choosing to either repatriate or move their assets elsewhere. According to a study conducted by KPMG and the University of St. Gallen in 2013, 59 out of the 94 banks analyzed reported that they either stabilized their poor performance levels or they continued to decline. In terms of international market volume (IMV), Hong Kong ranked highest with an increase of 47% from the period 2012-2014 while Switzerland increased only by 2% of their IMV (source: Deloitte Wealth Management Ranking of 2015). Banking lawyers were long forecasting that the decline in the performance of Swiss banks would compel a number of them to change their business strategies, and increase their M&A activity via ‘asset deals’ but the recent Brexit might reshuffle the cards. Beginning in the 1980s, many international firms began to establish themselves in Switzerland. Today, the main areas of practice for the firms are arbitration, international trade and private-client business, investment management and tax. However, the very specialized international firms tend to become general practitioners after a few years on the market and this is especially true for Geneva. 2016 witnessed the arrival of Anglo-Saxon law firms, both in Geneva and Zurich, with Curtis Mallet-Prevost, Curt & Mosle and Quinn Emanuel, respectively. Local law firms in Switzerland, however, are increasingly feeling competition from international firms as they advise their clients to avoid legal counsel from Swiss firms for cross-border transactions. Claiming Swiss firms tend to have little presence in the international market, they recommend that contracts be governed by British or American law firms instead. Unsurprisingly, local law firms have responded to this situation: there have been quite a few mergers recently, notably between firms in French and German speaking Switzerland. The most emblematic examples being the merger of Kellerhals and Carrard in 2015, as well as the arrival of Walder Wyss in Geneva, which resulted in the realignment of part of the Froriep teams. Today, local law firms are aware they need to team up to fight the ever increasing competition from international firms. Another reaction by Swiss law firms is to have extra specialization, with the opening of new boutique firms, such as Akikol Béguin or Oberson Abels. Last but not least, some local law firms are also rethinking their geographic coverage and expanding internationally, such as the recent arrival of Python in Tehran, “the first Swiss law firm to ever cover this market,” as Pierre-Yves Gunter, Managing Partner of Python puts it. In other words, in this new landscape, local law firms are faced with an important positioning choice to make without further delay. Whether it is litigation or arbitration, most lawyers in Switzerland who practice in these areas are familiar with and have experience of both. In Geneva however, the specialty is arbitration as the setting and neutrality make it an attractive location. There are several factors that put Geneva ahead of any other destination, Zurich included: these include the presence of many international institutions and organizations, the freedom to retain counsel of your choice, the compatibility of its rules on arbitration with other institutions (i.e. LCIA, the ICC, the ICDR, UNCITRAL) and the power of arbitral tribunals to issue measures of protection. Aside from Schellenber Wittmer, Geneva is home to Bär & Karrer, Lalive, Lenz & Staehelin and Python all of whom have outstanding reputations for arbitration and dispute resolution. According to the Swiss Chambers’ Arbitration Institution, this year, 104 cases were submitted for arbitration procedures, of which, 23% were from Switzerland while 51% originated in Western Europe indicating the popularity of choosing Switzerland as a main location for arbitration in dispute resolution. However of those cases, 71% of the arbitrators were Swiss nationals and only a minority were from foreign countries, which goes to show the competition that international lawyers and/or law firms must face against Swiss lawyers and firms of longstanding repute. The last few years have witnessed important M&A deals. As Daniel Daeniker, Managing Partner at Homburger noted,“there has been a shift in the last two years,” and a lot of investments are made from the East. The biggest deal of 2016, the acquisition of Syngenta by ChemChina underlines this. So far so good for local top-tier firms, which remain well positioned in these deals. The Swiss law firms remain optimists about the future of the local M&A market: “the Swiss market is going to become even more attractive with the tax reform to come.” Indeed, on June 17th, 2016, the Swiss parliament passed the final step of the corporate tax reform – also called CTR III. This reform is aimed at strengthening the competitiveness of the country as a major European place for business. The tax reforms include measures related to both federal and cantonal tax laws and international companies doing business in the country which could be directly concerned. These reforms may have come just in time in the present context, right after the British public chose Brexit in June 2016.